Marked for greatness from an early age by Blues behemoth Walter Trout, Mitch Laddie has been honing his virtuoso guitar playing on the big stage since being signed to Provogue Records at 17. Still in his twenties, he’s toured the UK and Europe and has a growing international fan base, marrying volcanic guitar with a pop sensibility style reminiscent of The Police. 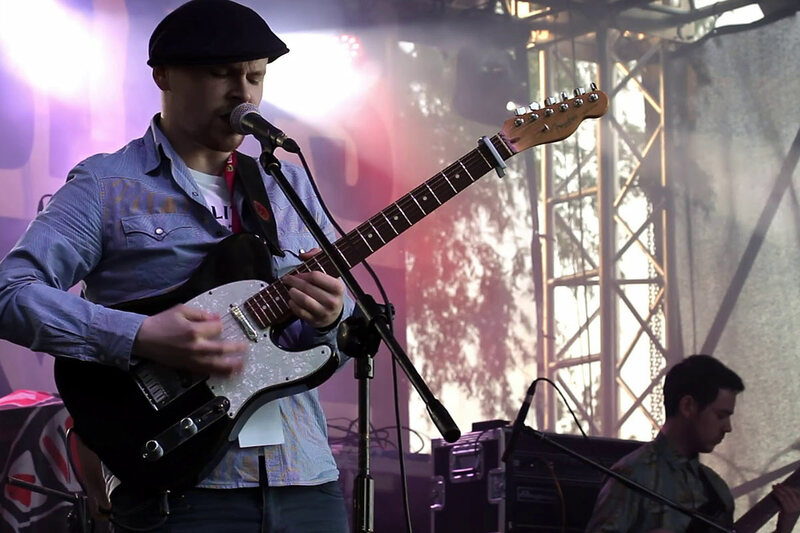 28 April 2018 will be his fourth visit to The Meeting Room Elland showcasing his own brand of potent and soulful funk. He has now released three albums to critical acclaim, and is known throughout the European scene as a volcanic guitar genius with musical subtleties and a maturity far beyond his years. Double trouble at The Meeting Room Elland — the Mitch Laddie Band will be supported by the inimitable Paul Lamb playing a solo acoustic set reflecting all the emotion of musical Detroit. Paul grew up in Detroit, listening to a mix of great rock radio like Bob Seger, Stevie Wonder, and George Clinton. As he began to play guitar his music drew from other outside influences like Hendrix and Stevie Ray. He cut his teeth in R&B and rock bands, developing his signature whiskey throttled voice and riff minded guitar, keeping it fresh and carrying the musical torch of for Detroit City at countless European festivals over the years. We’re fortunate to have secured Paul’s own brand of high energy, bone thumping groove for this special solo gig on 28 April. It’s already proving a popular pairing so secure your tickets today.